Do you think about what others are thinking about you? You’re about to learn some TRUTHS that’ll set you FREE…while adding incredible value to your life, and the lives of others. It’s an ongoing topic of discussion in my S.O.L. DATE SISTERHOOD, as well as with my coaching clients, and all the coaching I do. It’s the topic of worrying about what others think about YOU. Stop trying to own everyone else’s opinions about you. 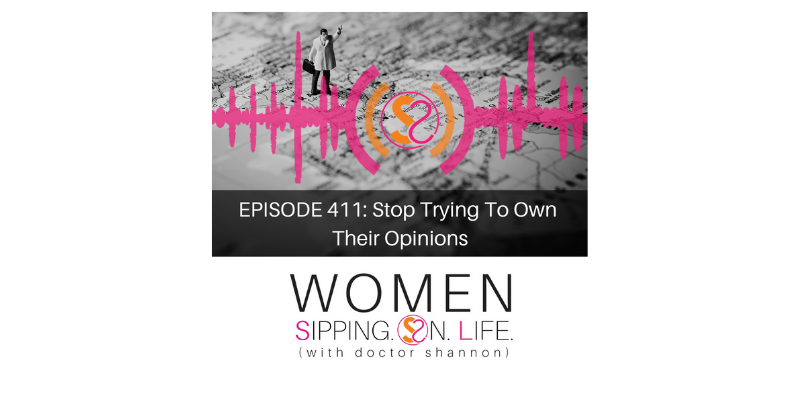 What would your life look like for you to own your own opinion? It’s like you’re homeless…and you feel helpless. You don’t own your opinion, nor do you own your responsibility. There’s no work. And I’ve got news for you…It doesn’t work! Everyone’s opinion of YOU is important. Or so it seems. That’s right, you’re a genuine (although inauthentic) People Pleaser. You try to please everyone, while not really pleasing anyone…especially yourself. You also try to own everyone else’s opinion of YOU. When you own your own business…and you’re not in others’ business. You finally own the fact that others’ opinions of you are none of your business, and you don’t make it your business. YOU’RE PAID FOR YOUR OPINION. You own your opinion of YOU. You don’t blame others’ opinions of you on them. You own your OWN opinions of YOU. Others’ opinions of you are not your business. Your opinion of you is your business. And now, others actually ask (or pay) for your opinion. You can think of this as the ultimate form of ENTREPRENEURIALISM. You care more about people, and what they care about, then caring about their opinion of YOU. You help them to believe in themselves by sharing the TRUTH with them. Where right now in your life are you worrying about what others are thinking, or saying, about you? How are YOU doing that to YOU? Make a commitment to YOU and owning your opinion of you. Set yourself free today, my dear.